SANSA’s data archive and catalogue aims to provide users in southern African with easily discoverable and accessible satellite data. SANSA has satellite imagery dating back to 1972, including data from Landsat 2-5, 7 and 8; SPOT 1-7; SumbandilaSAT; CBERS-2B and 4 (MUX, WFI, P5M and P10); SAC-C; ERS-1 and RadarSAT2 satellites. The imagery available within the archive covers most of the SADC region. 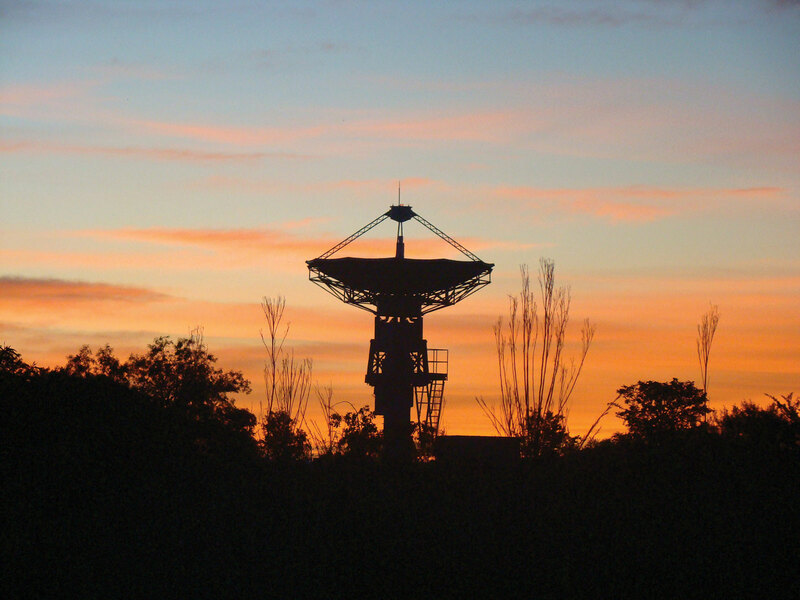 This archive forms the part of the Earth Observation Data Centre (EODC) of the Department of Science and Technology (DST). SANSA Earth Observation’s Image Production team can provide clients with the history of specific fire scars, according to a client’s individual request. The fire scar mapping expert investigates the fire event using a minimum of two images, one prior to the event and another post-event. The images selected are constrained by the revisit times of the sensor, and as a result a mix of sensors (Landsat, SPOT, NOAA, MODIS and Meteosat) may be considered. Figure A above shows the area before the fire event, and Figure B shows the same area after the fire event, thus illustrating the extent of the fire damage by comparison. Figure C shows a final classification on the area burnt, and includes the areas of trees and grass patches destroyed. The above example shows how a fire can be tracked with the aid of Meteosat. Meteosat takes an image of the earth every 15 minutes at a resolution of 5km, which is mapped onto a 30m resolution image. To interpret this image, each pie piece designates burning at a particular image time interval (in this case every 15 minutes). This fire starts with a red pie and progressively moves through the greens, and on to the purple. In this case, the fire started on the left side (the red/orange pie slice) of the image and progressively moved to the right. A number of sections (pixels) were burning at the same time (all have the same colour pie piece, thus indicating that they were burning at the same time). This information, in conjunction with weather data for the area and time, indicate that this was an extensive fire that burnt rapidly due to high winds. 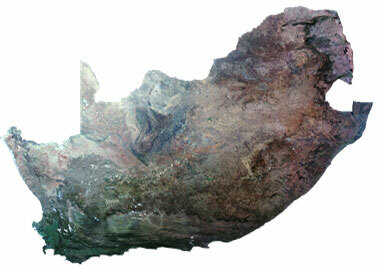 Every year, SANSA Earth Observation produces a country-wide, true colour composite (mosaic) image. The SPOT 5 annual mosaic takes just over a year to produce from a collection of satellite imagery. The final mosaic is then packaged and distributed to about 40 government departments, as well as to many universities, parastatals and research institutes. Subsets of this image are available by order from SANSA. Organs of State, Parastatals and Research institutions who request SPOT6/7 data products may choose between an external hard drive or FTP media for delivery of the data (1.6 TB). Clients are requested to provide a 2 TB hard drive for the dissemination of the data. Data is delivery is validated. The Research and Applications Development (RAD) unit within SANSA’s Earth Observation programme conducts and co-ordinates cutting-edge scientific research and development across the earth observation value chain. 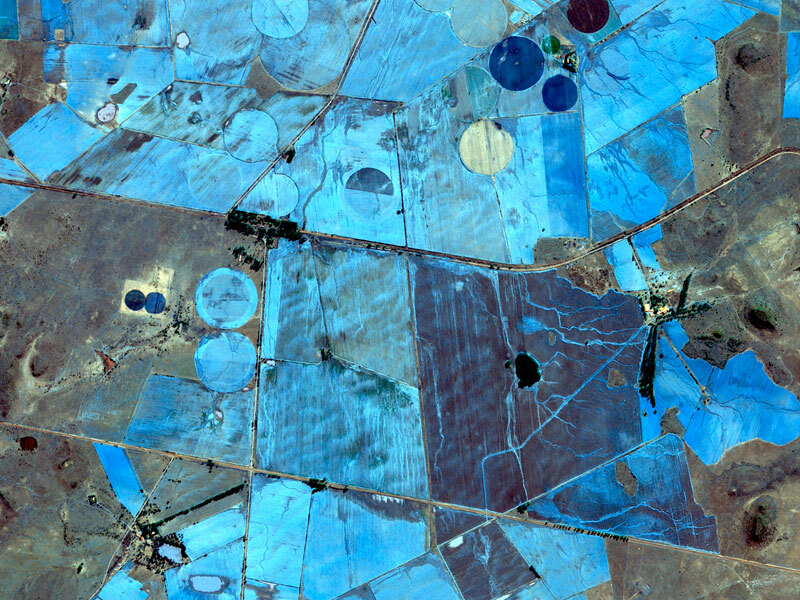 Earth Observation develops decision-support geo-information products and services in the areas of agriculture, human settlements and urbanisation, integrated spatial planning, water resources management, disaster and risk management, forestry, and natural resources management. SANSA builds research partnerships with national and international institutions to develop novel image processing methods and innovative products and services. 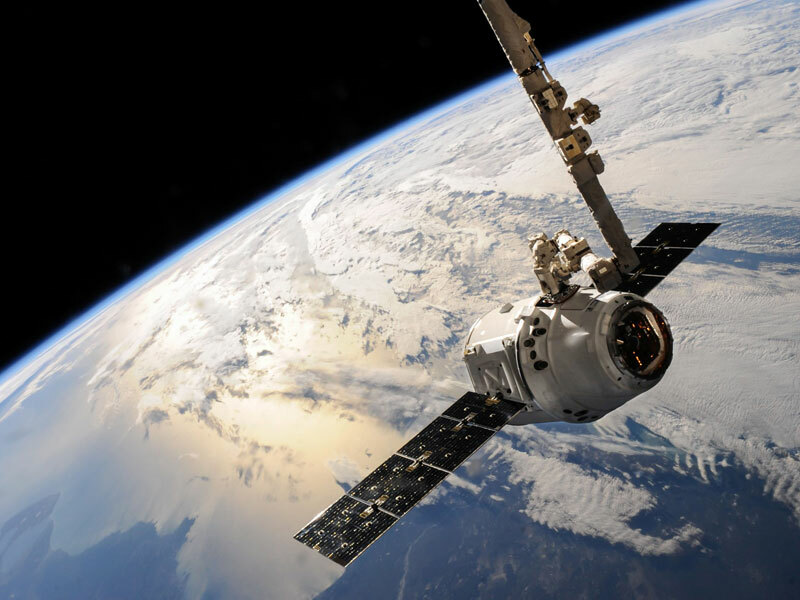 Scientists in RAD develop value-added products and services from satellite imagery for anybody that requires accurate spatial information to make informed decisions to address socio-economic challenges. RAD activities provide information for estimating crop yield, monitoring settlements, and assessing water quality and vegetation status. Delivering these products from satellite imagery requires fast and efficient processing chains. Terabytes of imagery are received on a daily basis and RAD researchers are constantly developing tools and software that can handle big data more efficiently. Software for processing sensor data received by SANSA is processed using high performance computing. In addition to processing received imagery, RAD provides efficient data and information dissemination. RAD also develops web-mapping applications to provide an online platform to view and analyse their data products. SANSA uses earth observation technology to provide useful information to decision-makers, policy makers, agribusinesses and farmers. For example, policy-makers are provided with information on the status, the changes and expansion of agricultural areas. Agribusinesses receive information to help optimise and plan storage, forecast prices, and negotiate trade agreements. Small- to large-scale farmers receive information to optimise fertiliser and irrigation management at the farm level. Through international and national collaborations with government departments, research institutes and private sector, food security projects at SANSA Earth Observation promote planning, development and management of agricultural practices for improved national and regional productivity. A prototype agricultural monitoring service called Crop Watch for South Africa (CW4SA) is currently being tested around the country. Enhancing Food Security in African Agricultural Systems with the support of Remote Sensing (AfriCultuReS) aims to design, implement and demonstrate an integrated agricultural monitoring and early-warning system that will support decision-making for food security. SANSA uses satellite imagery to map settlements’ growth patterns, study informal settlements and conduct disaster risk analysis. SANSA also uses this data to monitor infrastructure development projects such as housing and education facilities, and to derive data required for reporting of development initiatives, including special funded projects, the Sustainable Development Goals, the National Development Plan, and Agenda 2063. SANSA’s main output in this field is the National Human Settlement Layer (NHSL). This data shows the location of settlements and allows users to identify areas of growth. Informal settlement layers are also available. This data can be used to inform decision-making to upgrade informal settlements. The number of people living in urban areas is expected to increase to 70% by 2050, with most growth expected to take place in development economies in Asia and Africa. 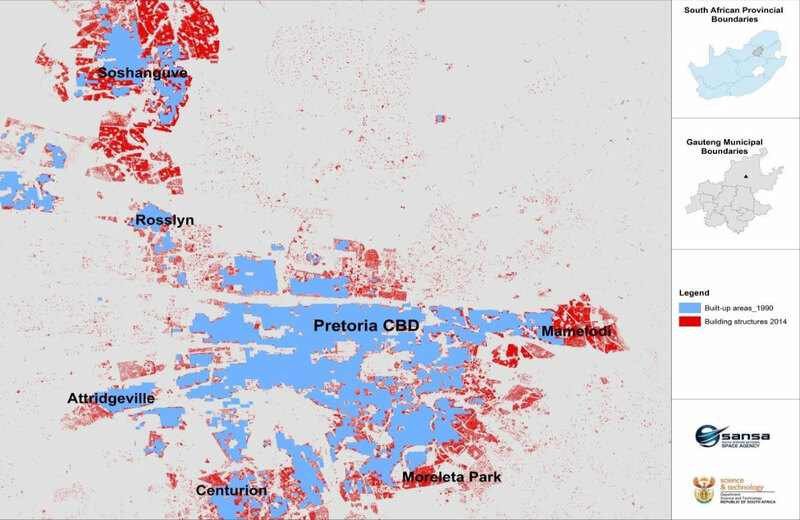 This demonstrates the need to continuously gather data on the spatial distribution of human settlements to support, for instance, spatial planning, service delivery, and disaster and natural resource management. SANSA proactively supports government departments with forest maps and vegetation biophysical variables that can show vegetation stress, chlorophyll content and general health conditions at a national scale to support effective environmental management. The biophysical parameters generated regularly at a national scale to support environmental scientists are: Leaf Area Index (LAI), Fraction of Absorbed Photosynthetically Active Radiation (fAPAR) and Normalised Difference Vegetation Index (NDVI) base layers. Forests play a critical role in combating the impacts of climate change, but are threatened by the expansion of settlements, mining, forest and veld fires, and agriculture. Earth observation technology provides actionable near-real time information at a large scale for sustainable forest management and conservation. SANSA Earth Observation technology makes it possible to monitor freshwater bodies in near-real time. From this information SANSA produces an annual water layer, and provides country-wide coverage of seasonal water body base layers for the Department of Water and Sanitation and other water authorities. Understanding the distribution of freshwater bodies assists in planning water distribution, and integrated environmental management and planning. Freshwater resources continue to be threatened by climate change and human activities, resulting in decreased water supply and poor-quality water. Additionally, the water quality in small municipal water bodies tends to be overlooked, thus resulting in even more shortages of freshwater in rural municipalities of South Africa. Future research will assess and map water quality assessment at the municipal level, as well as map the relationship between water quality and water-borne diseases. SANSA provides a wide range of services and data products to local and international organisations, governments and the business sector, as well as the global and regional academic community. 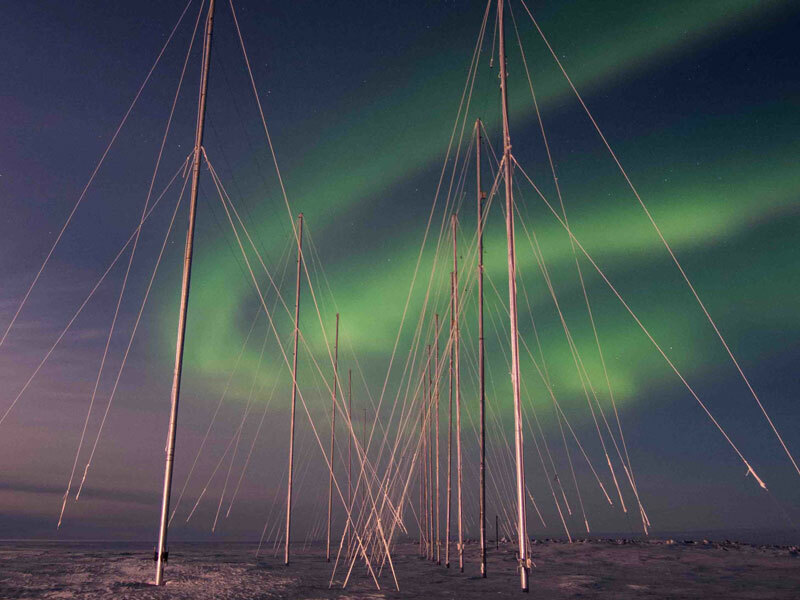 These services include Earth observation data products, international launch monitoring and space weather information provision.